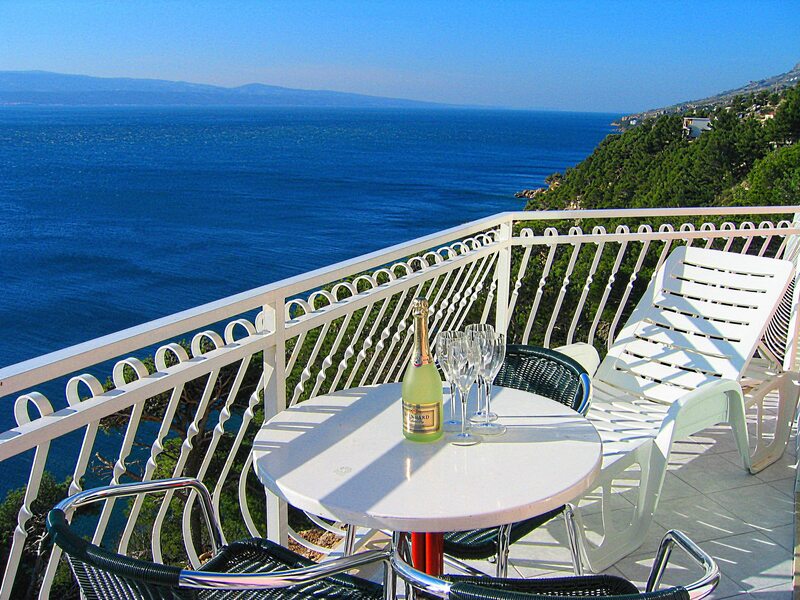 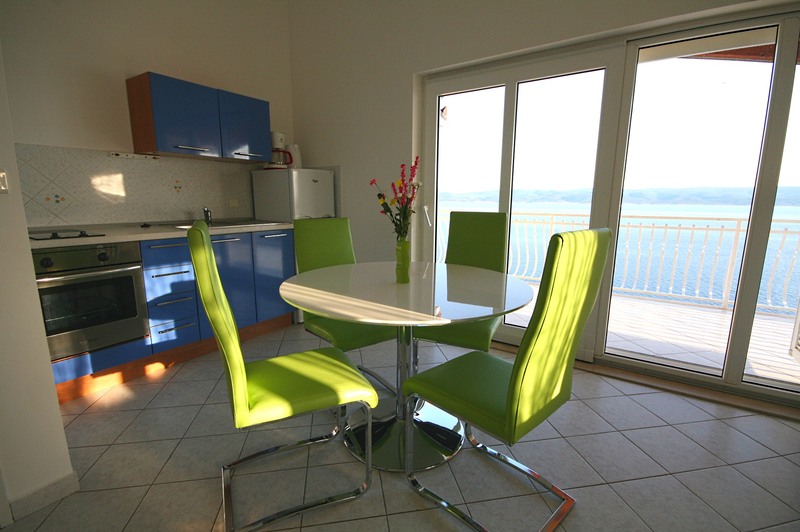 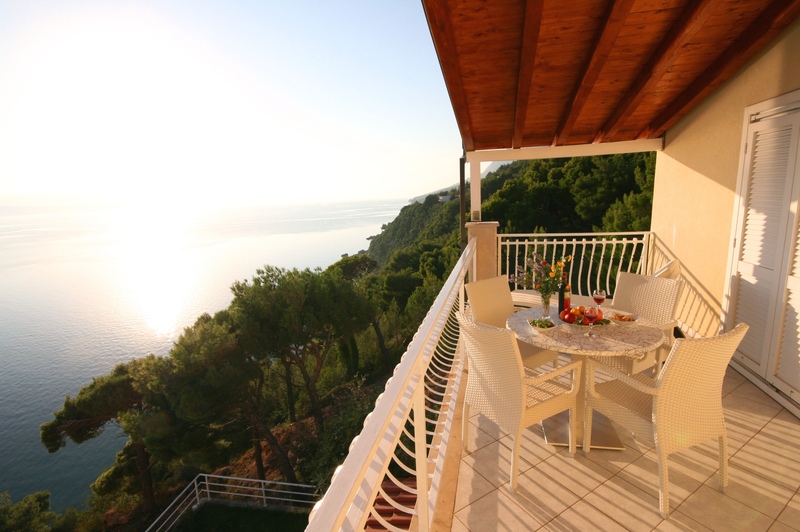 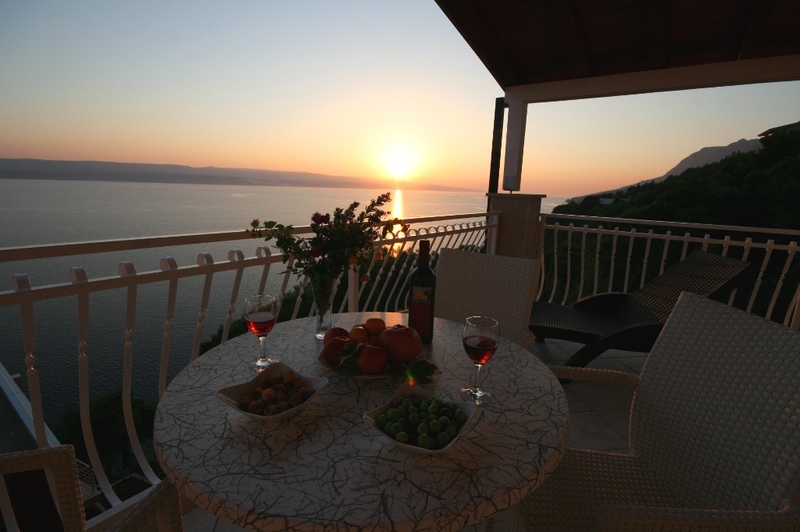 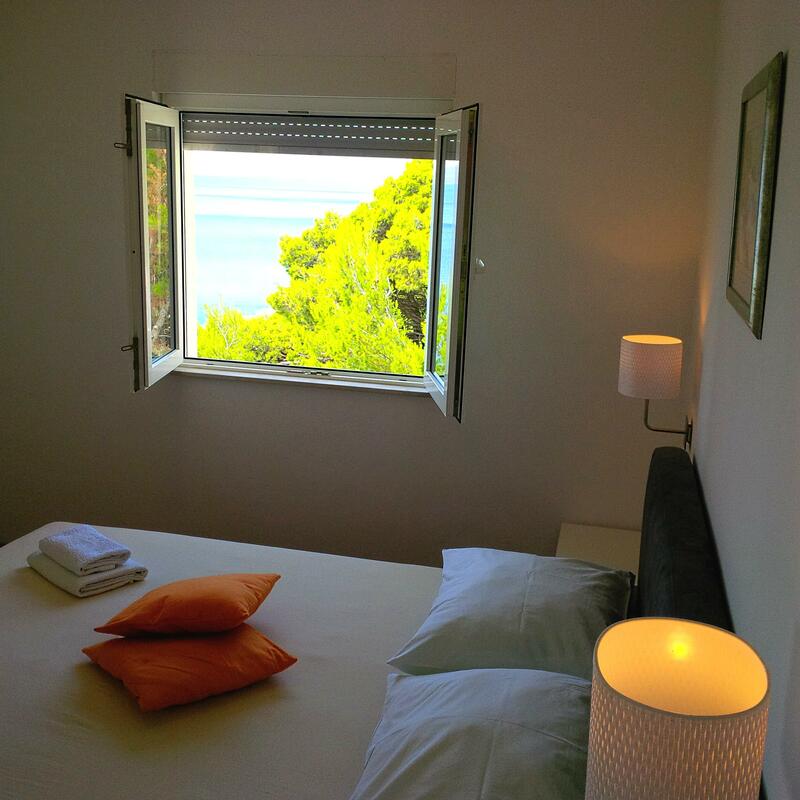 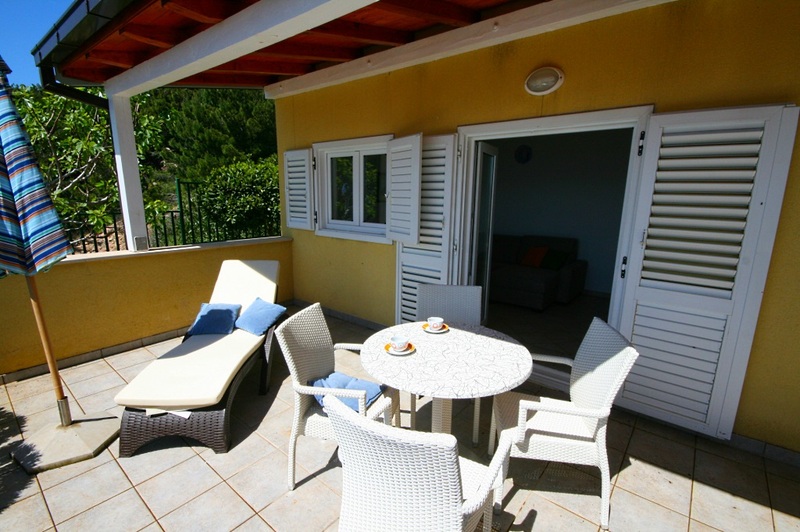 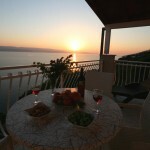 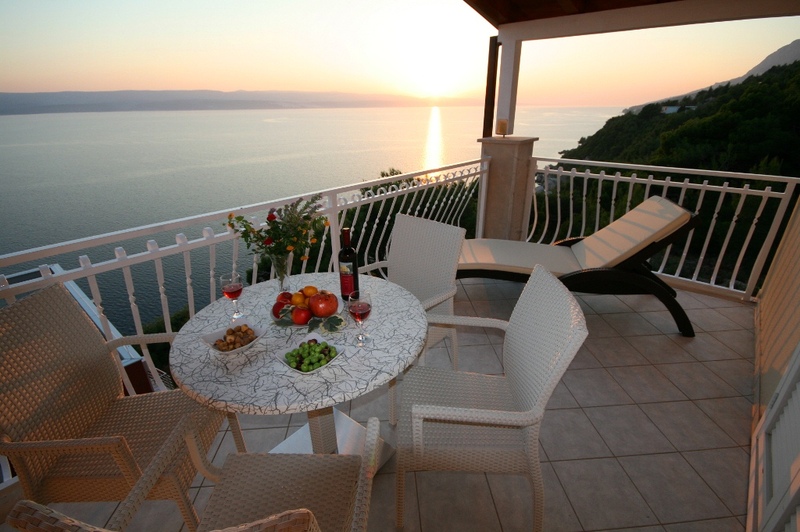 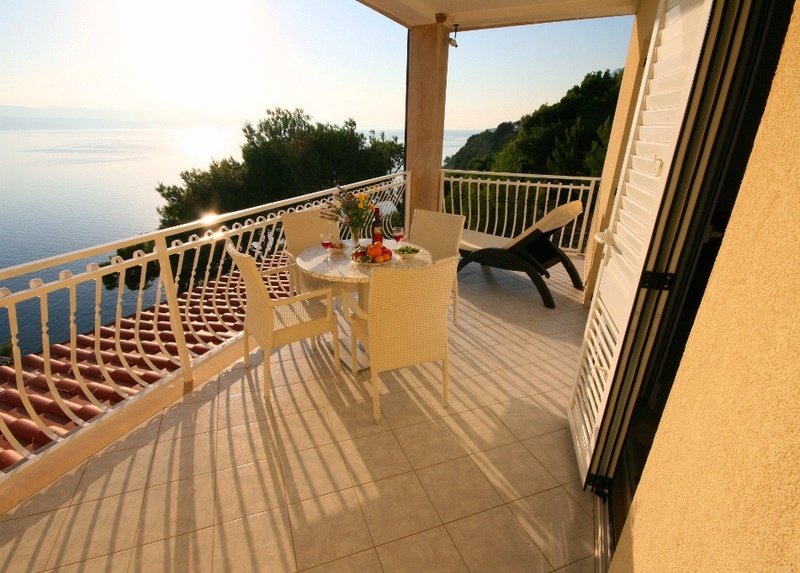 ... quiet, newly built, with a majestic view to the sea ... Our vacation Villa is located directly above the private Beach (on the small hill) and almost all the apartments include terrace with beautiful view to the sea. 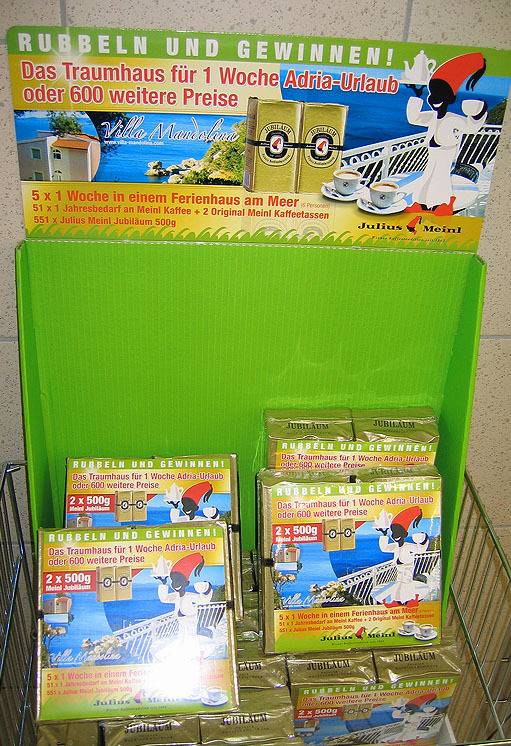 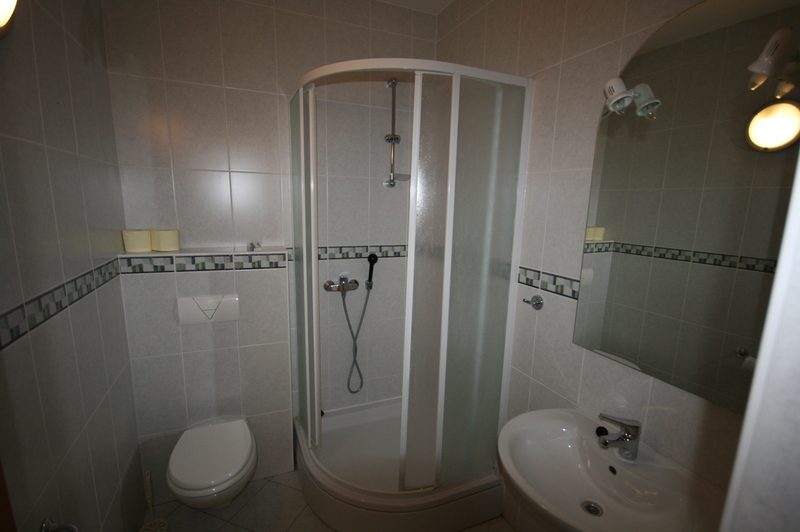 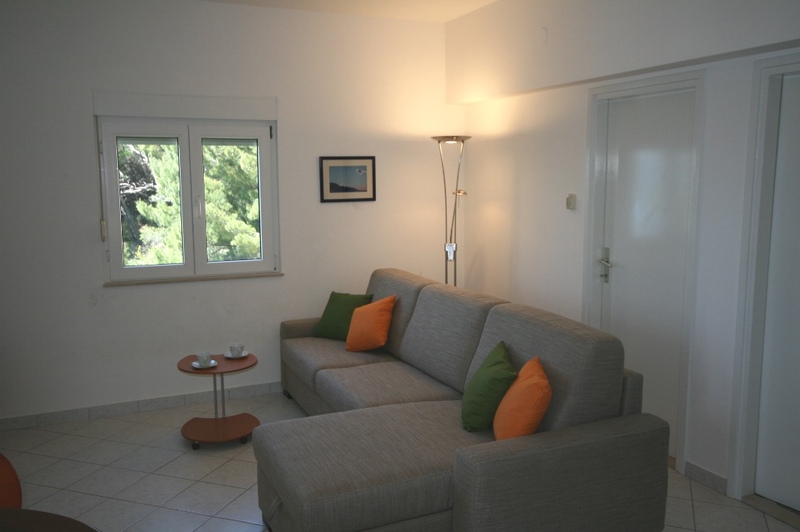 All of the apartments correspond with the high standards of modern housing (****). 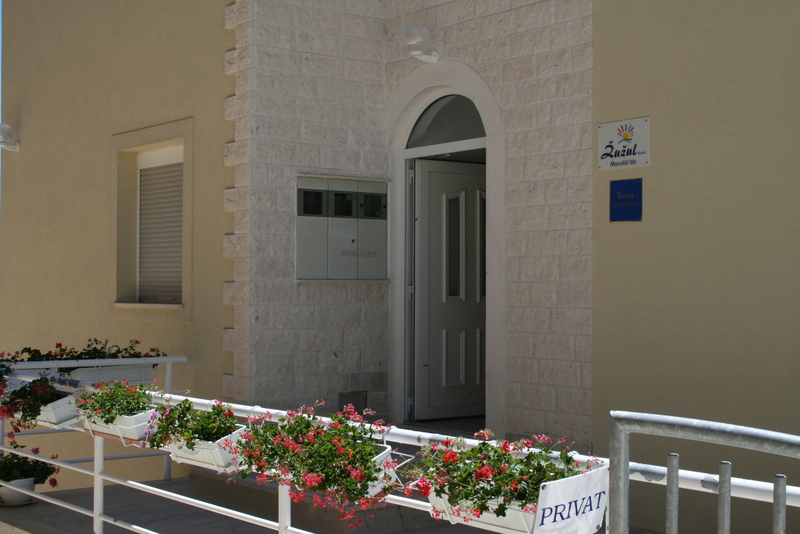 Each includes a full-equipped kitchen, SAT-TV, air-conditioning system, living room, terrace, and a parkplace with video surveillance. 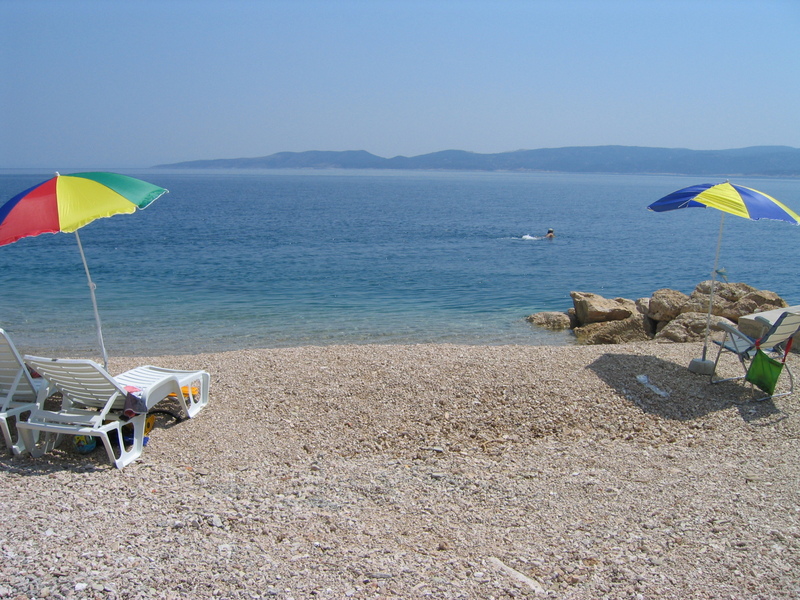 A special offer only to our guests: at your disposal is a beautiful beach (accessible by stairs directly from the villa) with laying chairs, sun umbrellas, grill and a shower … free of charge. 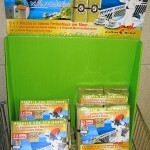 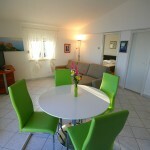 In addition, you are entitled to free shuttle to 2 nice nearby restaurants! 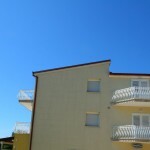 All of the apartments correspond to the high standards of modern housing. 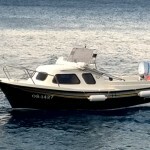 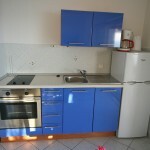 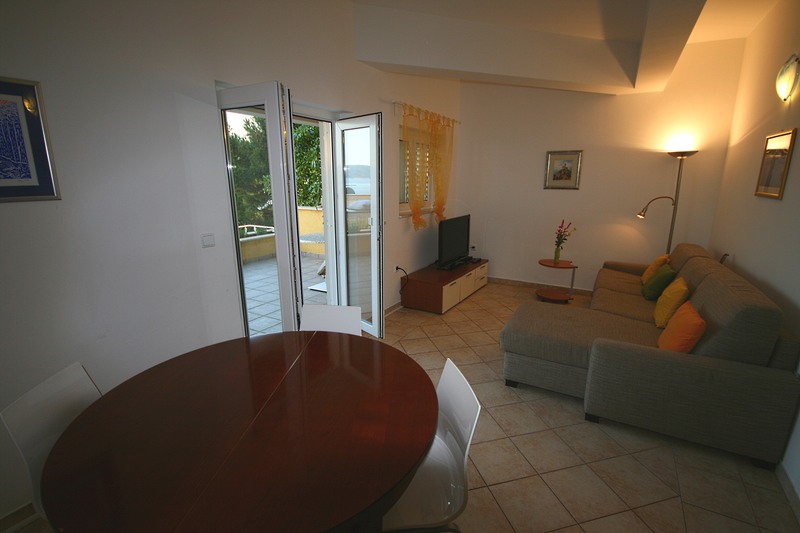 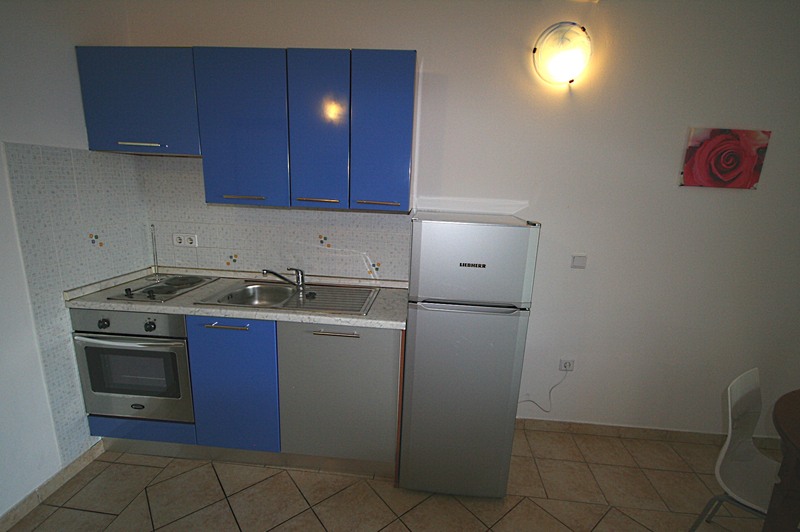 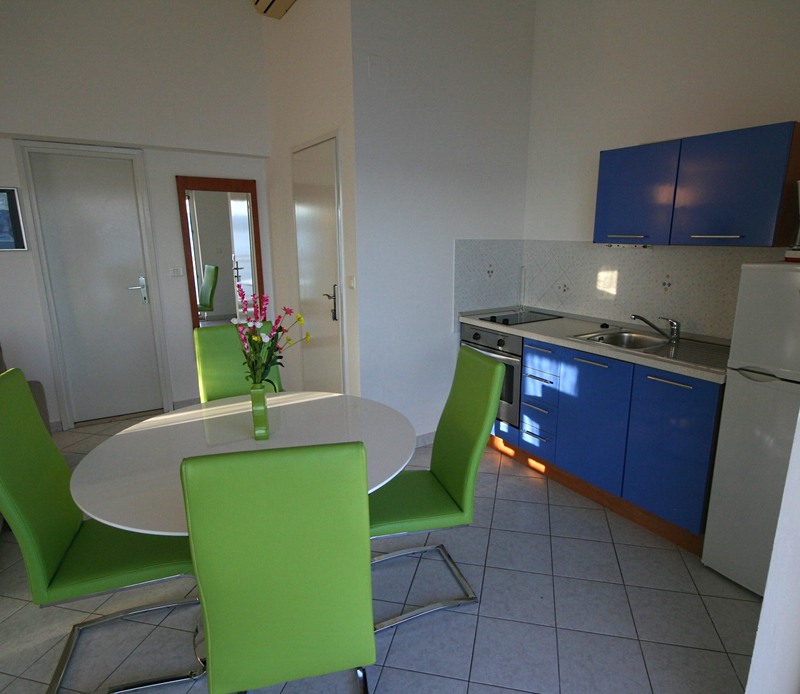 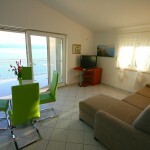 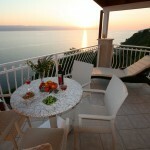 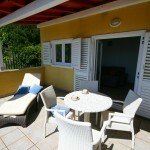 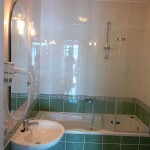 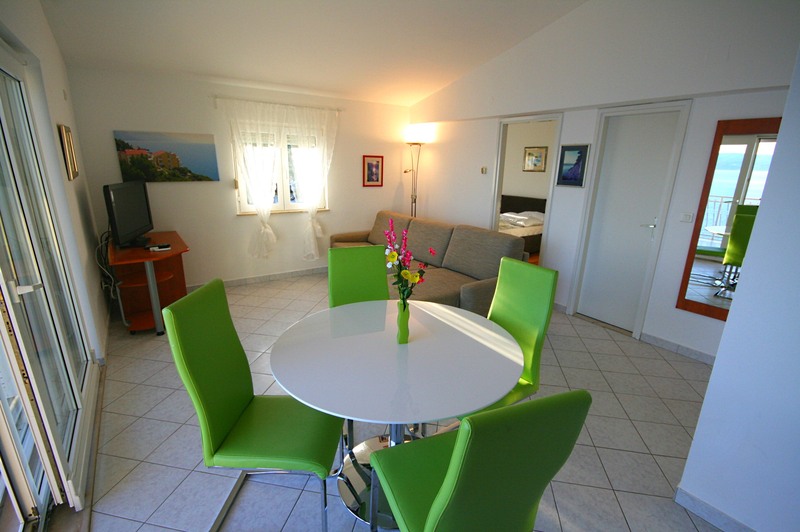 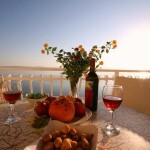 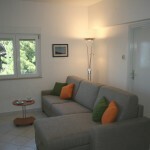 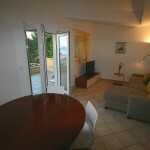 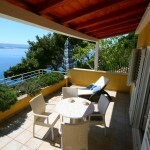 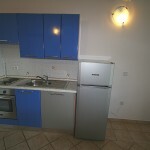 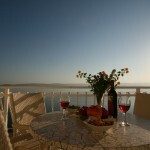 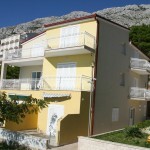 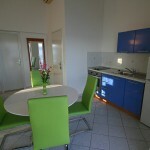 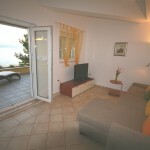 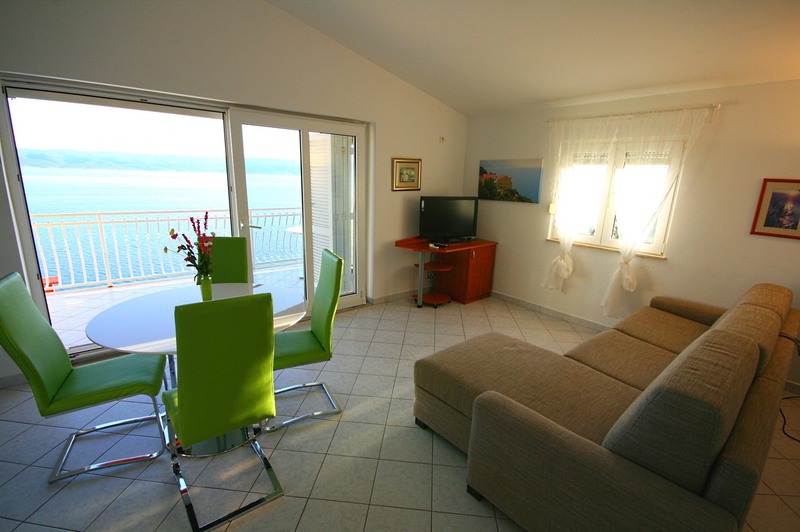 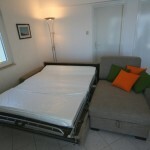 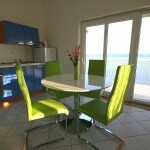 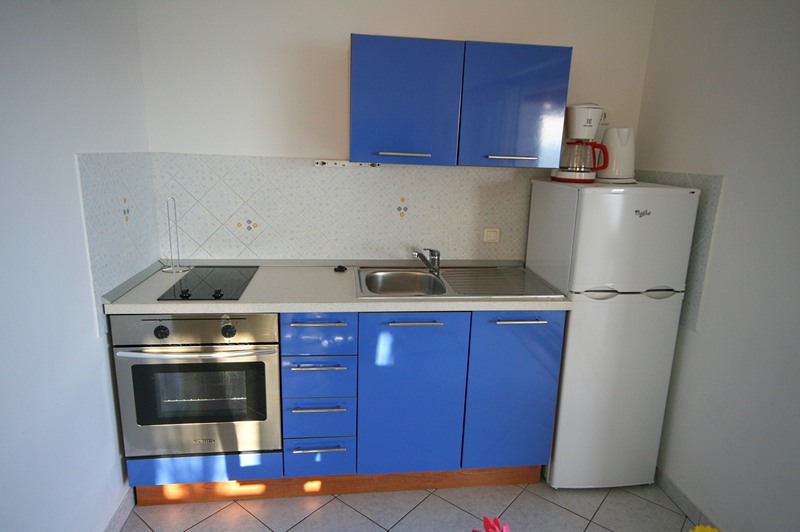 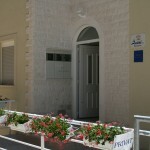 Each includes a full-equiped kitchen, SAT-TV, air-conditioning system, cosy living room, terrace (B1,B2 has balcony and Ap. 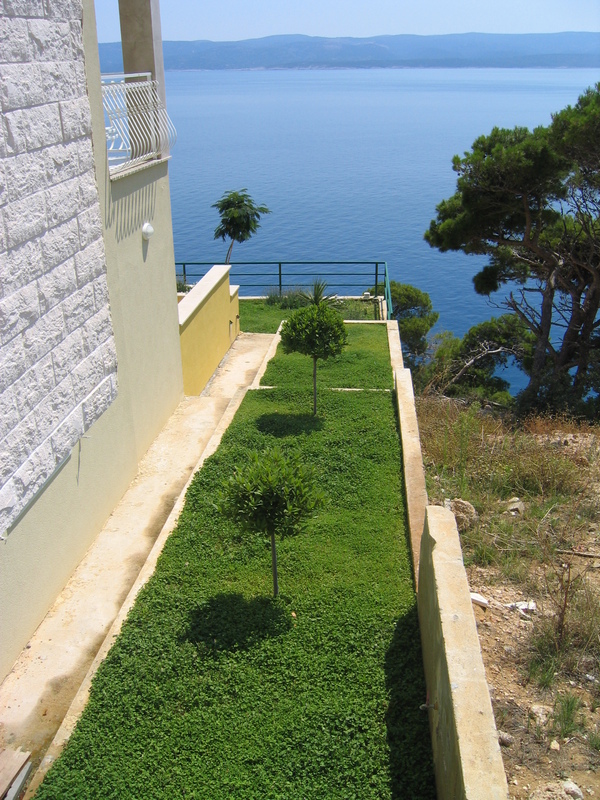 C side se-view but also very nice), and a gratis parking place. 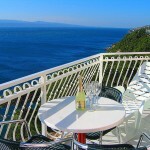 The restaurant and a supermarket are only about 100 m away. 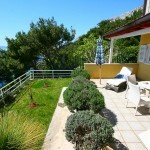 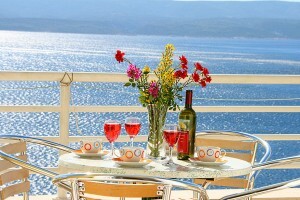 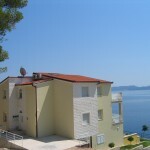 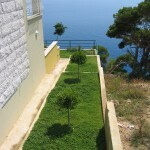 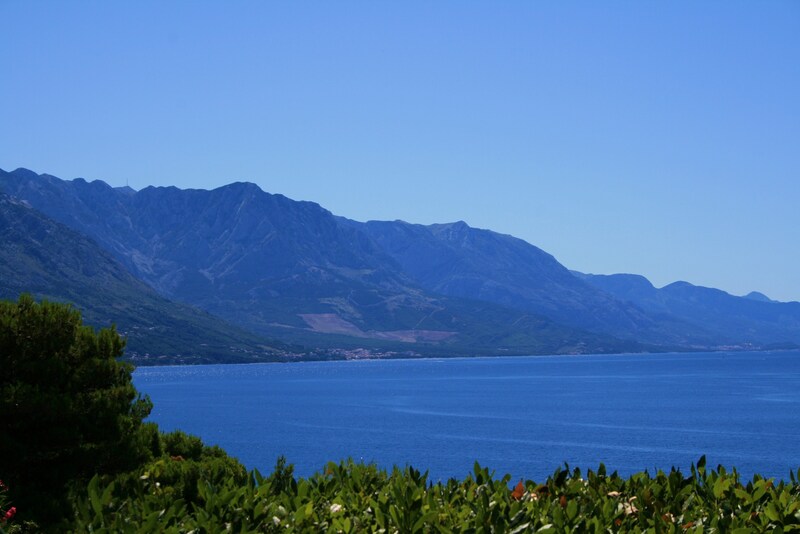 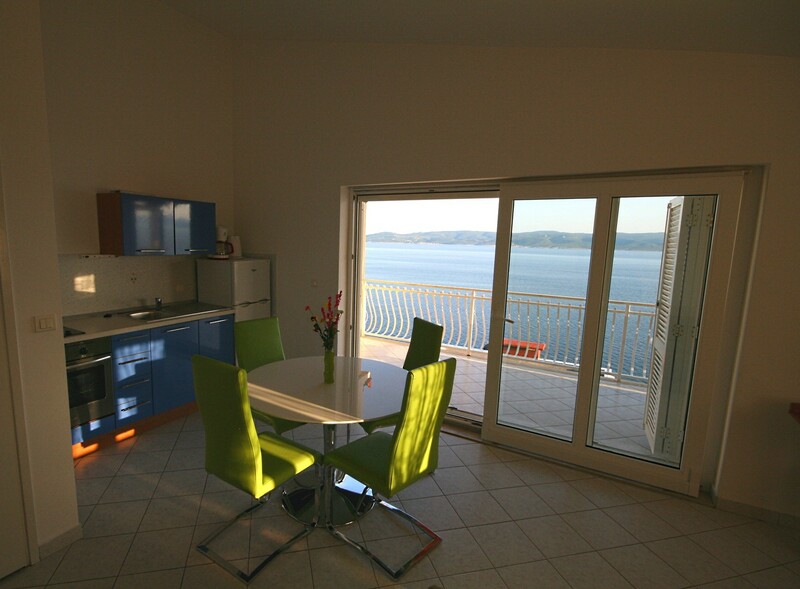 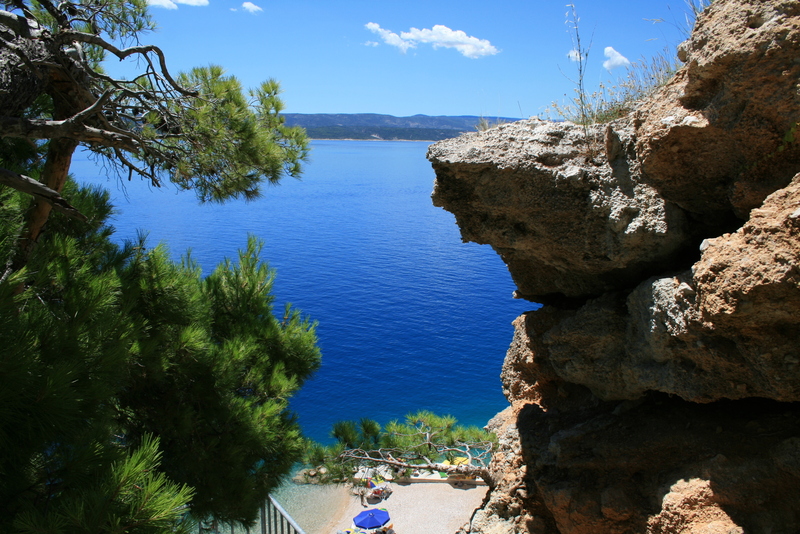 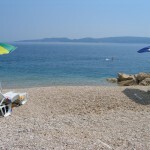 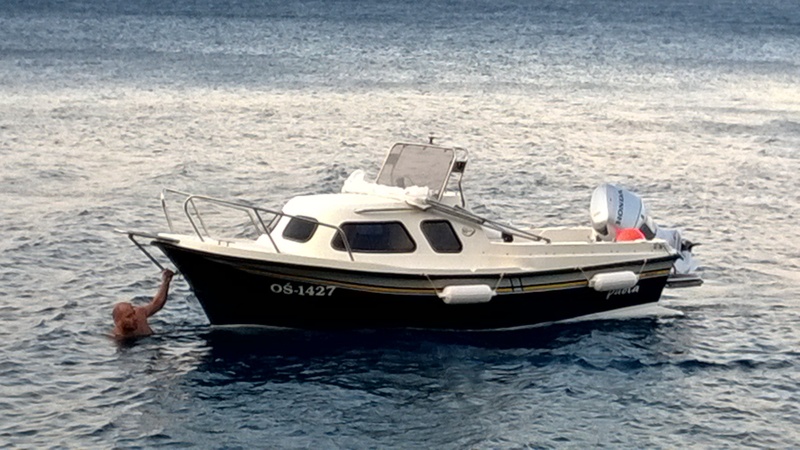 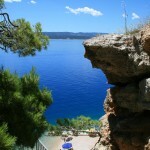 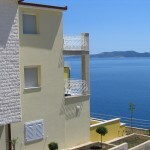 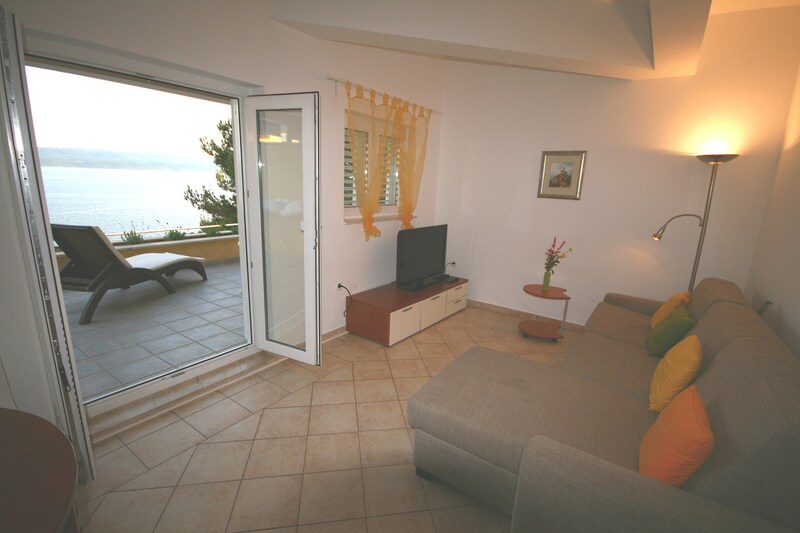 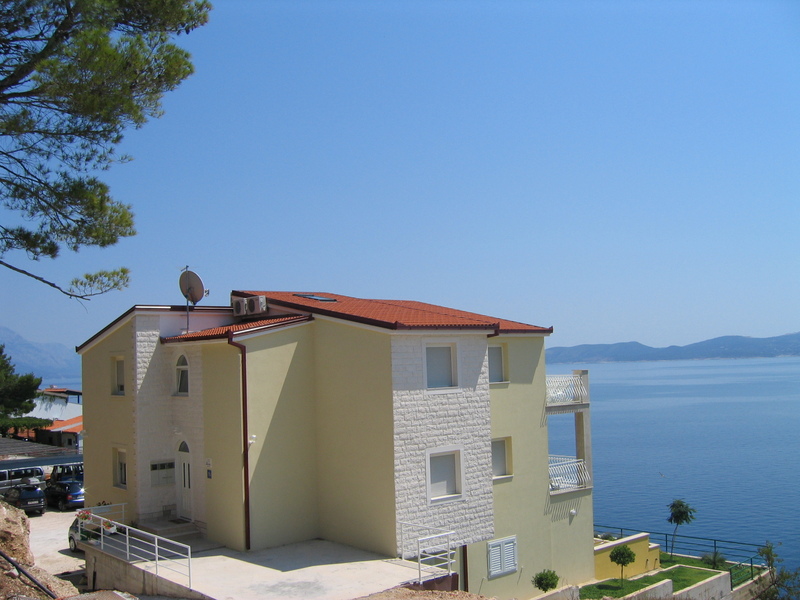 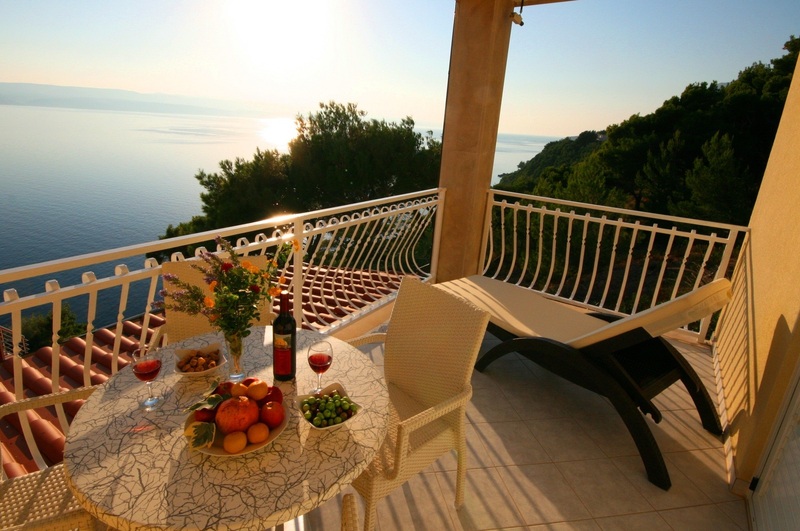 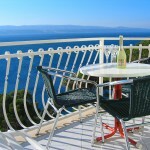 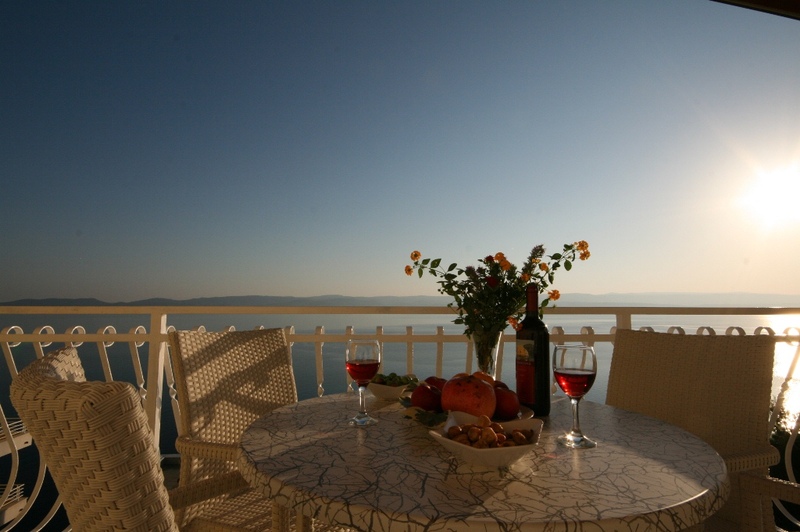 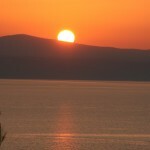 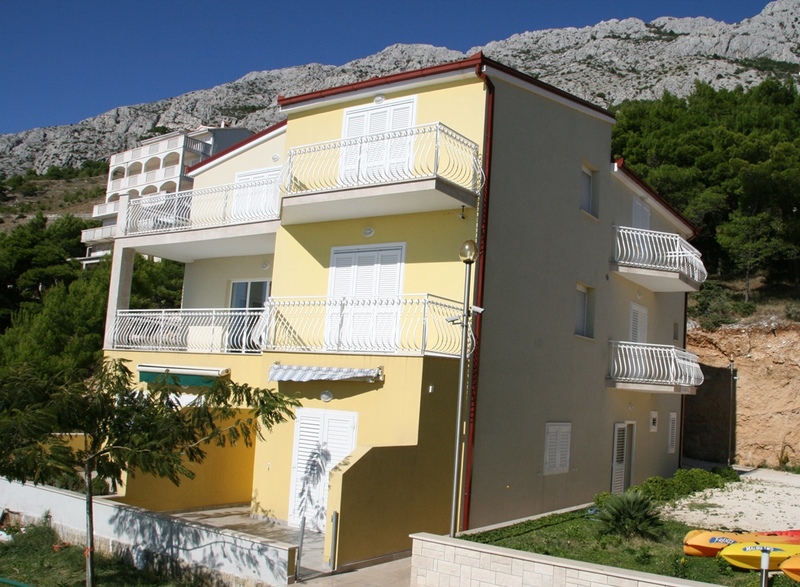 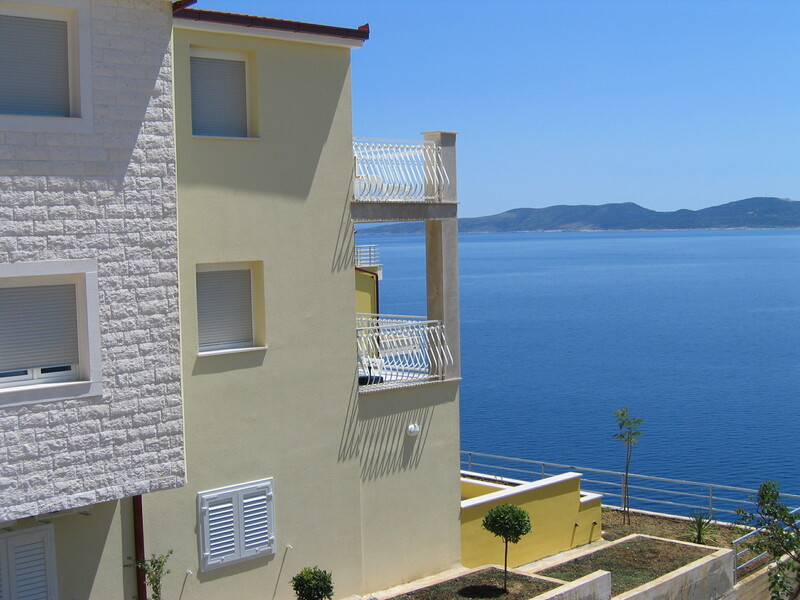 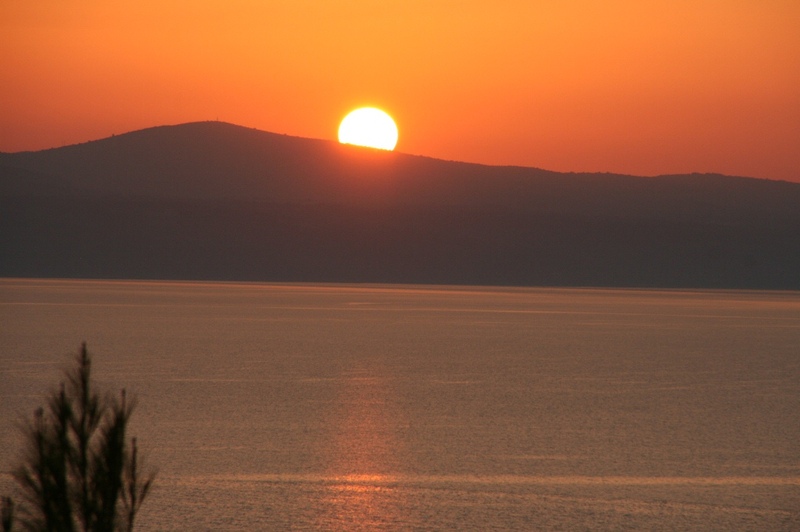 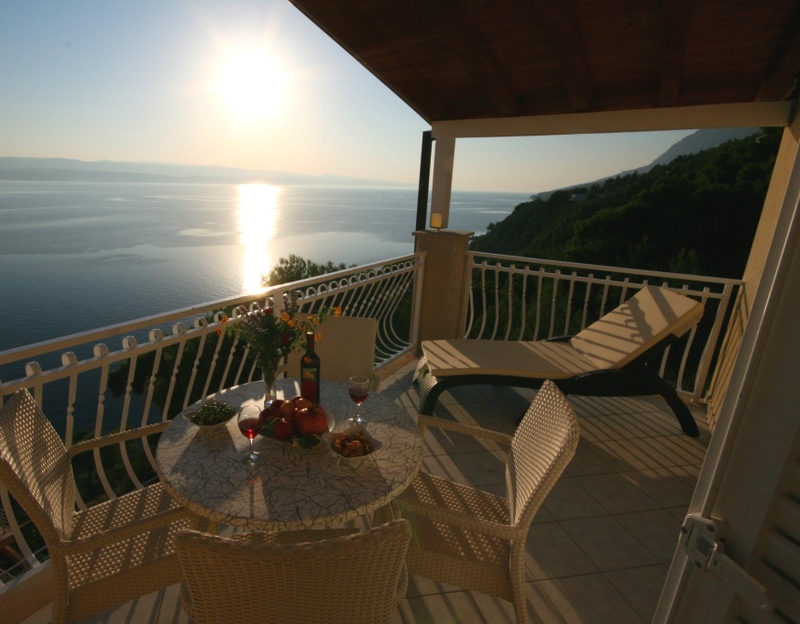 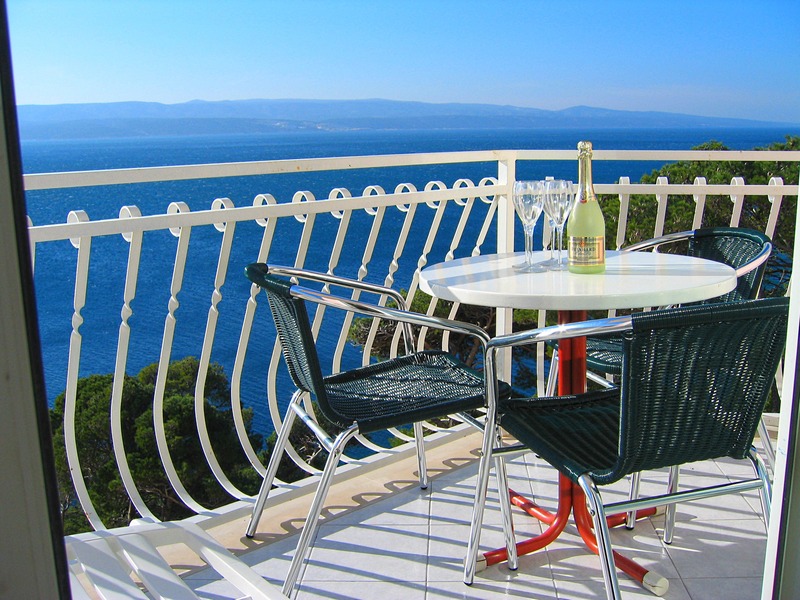 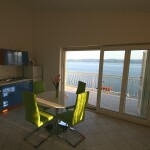 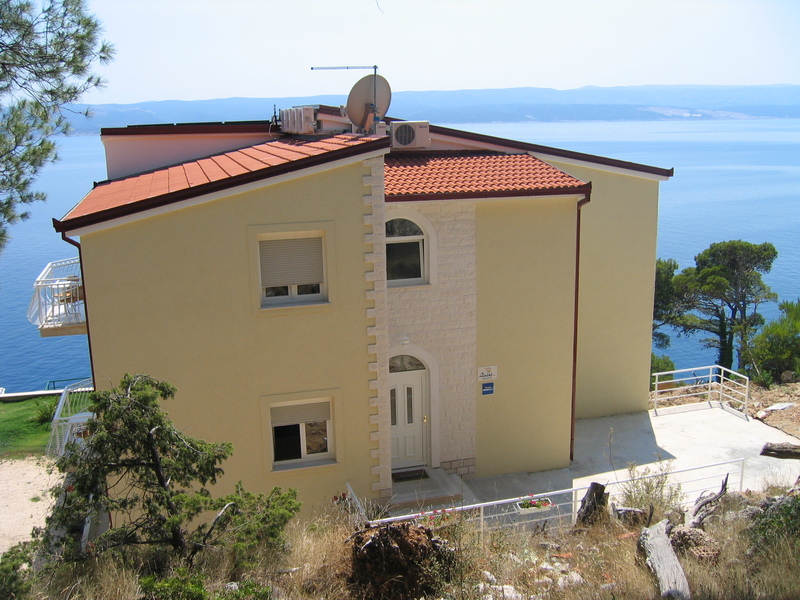 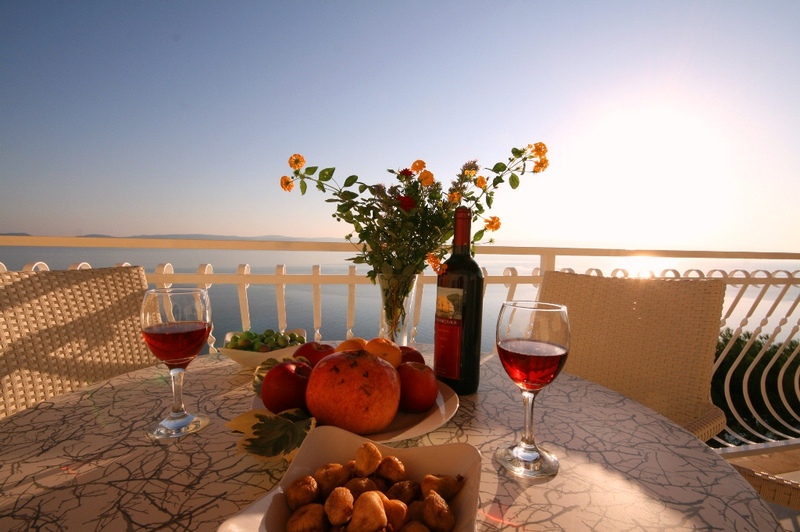 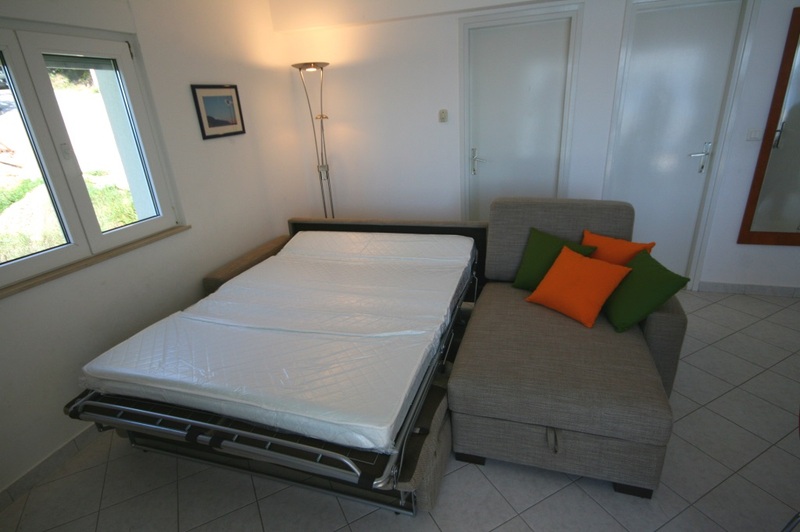 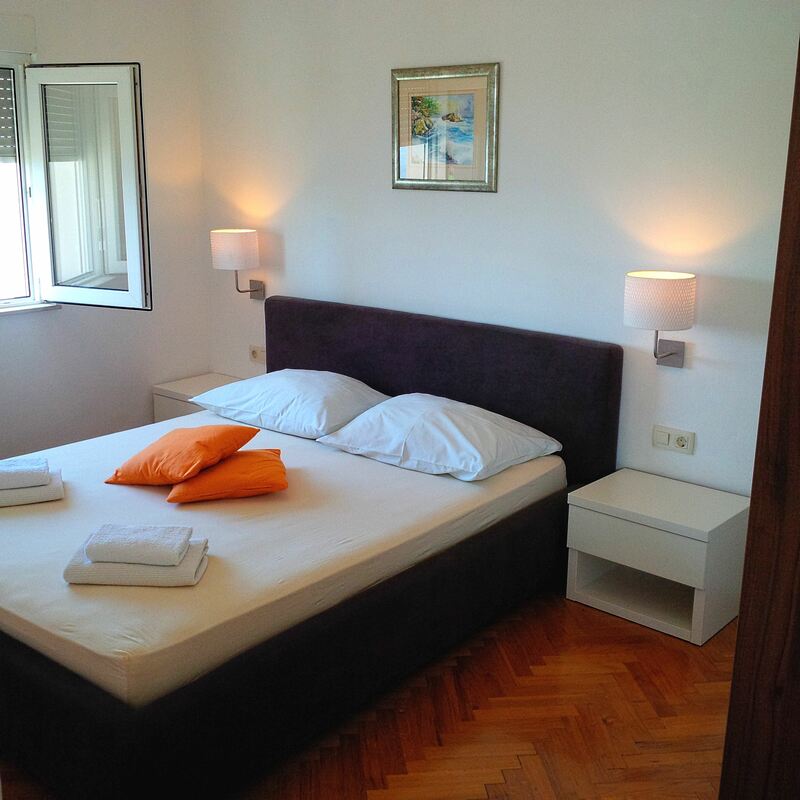 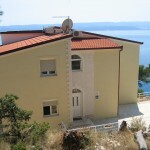 Beeing located at the point where the slopes of the majestic Mosor mountain touch the sea, you can enjoy a beautiful view of the islands of Brac and Hvar directly from the terrace of your apartment. 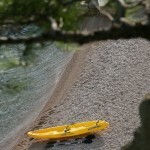 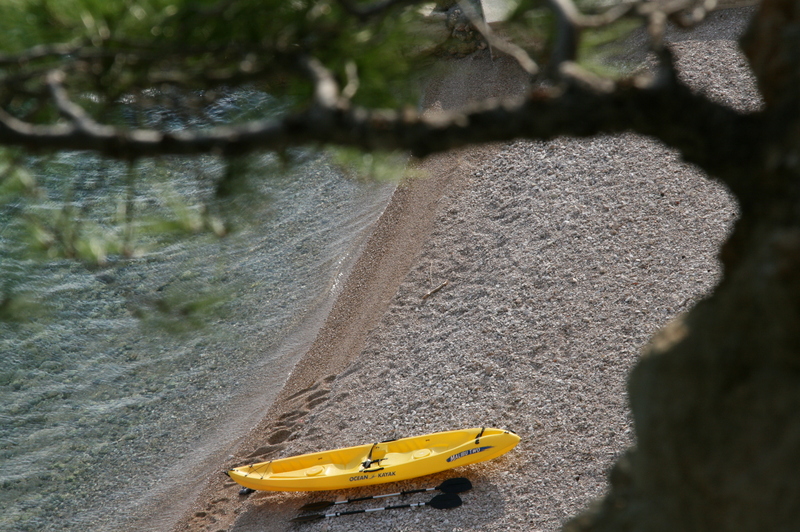 Special offer - kayak and mountinbike rent in off-season! 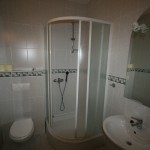 Furthermore we offer fitness room with new Kettler equipment and free Wi-Fi Internet Access Point.